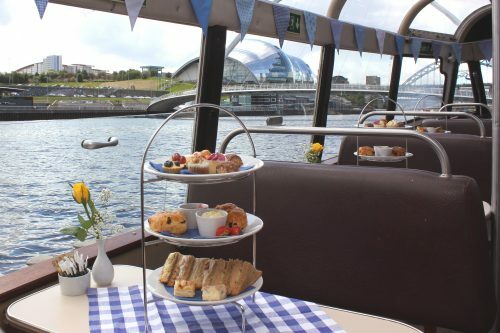 Our 2 hour quayside to countryside cruise sails from Newcastle’s quayside upriver as far as Ryton Willows Nature Reserve and Newburn Countryside Park. Passing under eleven of the Tyne’s bridges, following the route of the world famous Blaydon Races. This cruise is aboard our smaller vessel the Coventina, with a capacity of 43. It is over forty years since river trips have travelled so far up river and it is proving a popular return. The cruise, which turns at Ryton Willows for the return journey to Newcastle Quayside offers a unique opportunity to enjoy the upriver wildlife where seals, grey herons and many species of wading birds and ducks are regularly spotted. This cruise is complimented by a recorded commentary.